Investing in Higher Education - Is It Worth The Cost and Effort? The benefits of college education far outweighs the cost, time, and effort, and in terms of economic benefits in relation to employment market outcomes include ability to find a job easily, as well as earn more. However, going through college and earning a degree appears to be an arduous task, it is really worth it and therefore, students should not feel a sense of discouragement. Each and every investment constitutes some portion of risk, and therefore students are required to fully understand the cost and effort they are putting into their college education, and obtain sufficient information regarding the potential earnings they may receive in their chosen career paths. 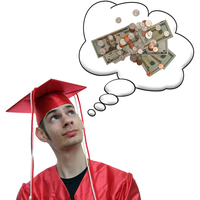 Students who graduate with college degrees are likely to earn twice as much over the tenure of their employment as those who finish up to high school only, and earning a college degree and higher earning potential is directly related to the reasons why students opt to choose go for college education. However, some people may ask if the college graduates earn enough to justify the effort and cost of college, especially in periods when tuition fees are escalating and financial aid from private and government sources are dwindling. It is worth it! By having a college degree, one is able to find work that he really loves and passionate about, which implies that the individual would have more job satisfaction. College education would be able to equip such individuals with skills, knowledge, and attitudes that will make them more adaptable to a variety of jobs as they move through their career path. Furthermore, college education will teach them how to reason better, handle analytic questions, and deal with other educated people towards a set goal in an organized manner. It is imperative to note that job applicants holding college degree are increasingly occupying entry level functions in organizations, and given that many jobs require college education it is worth the effort and cost of having college education. The job market is increasingly becoming competitive and organizations are raising performance expectations in order to improve overall productivity, profitability, and product and service quality, therefore earning a college degree would make a job applicant competitive in the job market. College education leads to higher levels of job security, and therefore during unpredictable occurrences in the job market such as economic downturns, college graduates will not suffer from job cuts. During recession the first culprits for job cuts are the bottom cadre employees who hold positions that do not require skilled labor. Furthermore, the types of jobs that have a security level that is unaffected during economic recessions such as accounts, doctors, nurses, air traffic controllers, college professors amongst others all require a college degree. In conclusion, by investing in college education individuals are able to make better choices for the rest of their lives. College education does not only provide people with information and knowledge, but also life skills that make them think critically. This means that individuals who go through college are able to break down and reconstruct complicated issues, as well as solve problems effectively. Additionally, other benefits of earning a college degree include inculcating valuable communication and inter-personal skills that have a positive impact on every aspect of an individual's life. Hence, going through college enables a person to communicate concisely, clearly, and persuasively that may help him or her secure the perfect job and improve career prospects. The social networks established during college days also have lifelong benefits. Therefore, college education assists individuals to make better decisions concerning their personal and professional lives.